Townhome was great, and the roommates were great. One complaint is that the a/c doesn’t accurately cool or heat the house. In the winter time the 3rd floor was often upwards of 80 degrees. Other than that it’s great. I love all of the amenities offered at the Vue! The setup of the apartments is great and I love the pool and volleyball courts. The only thing we need is more parking! Thanks for taking the time to leave us a review! We hope you continue to have a good experience here, and thank you for the feedback. I have had such a wonderful experience already. I love the people, the pups, and the staff! I am so excited to be a part of such a fun and lively community! Thank you for taking the time to leave us a review! We are so happy you chose to live The Vue and we hope you continue to have a wonderful experience. Love the vue so much! Great place to live, great staff! the only this i wish there was more of is guest parking for the villas, that would make it easier for my friends to come over! Thanks so much for taking the time to leave us a review! We are glad you enjoy living here and we will pass along your message to management! Please let us know if there is anything else we can do for you. I really enjoy living at The Vue. The staff is always helpful. The only downfall I have living here is that when I moved in mostly everything was broke or didn’t work properly. Thank you so much for your honest feedback Alycia! We apologize that you had issues with your move in and we hope that everything has been resolved, but please let us know if there is anything else we can do! The vue is a very nicely set up and good place to live that is why I am choosing to live here next year. Also the people that work in the buildings are very nice and presentable. Thank you for leaving us a review and for choosing to live at The Vue next year! We are so excited for move in, and please let us know if there is anything we can do in the meantime! love the vue and staff and the amenities and especially waffle wednesday! the only complaint i have is the appliances such as dish washer and washing machine need to be updated badly. Thank you so much for taking the time to leave us a review! We appreciate your honest feedback, and if anything ever stops working or needs to be looked at please feel free to give us a call! My experience at The Vue has been nothing but enjoyable. I am moving to Fayetteville from out of town and am not familiar with the area, but the employees at the view have been incredibly friendly, helpful and not pushy in signing a lease! It's a very comfortable environment which makes me even more excited to live there! Thank you so much for this review!! We are so glad you chose to live The Vue and we can't wait for move in! Please do not hesitate to reach out to us in the meantime if you have any questions or concerns. 2nd semester far better than the first. We lost a roommate but the utility bill went down so I’m not complaining. I would love to live here again but it’s just too expensive. Thank you for taking the time to leave us a review Daxton! We are glad that you enjoyed living here and we wish you could stay. I will reach out to you today and see if there is anything we can do! The amentities are amazing, but the view from our apartment is awful. Management is always super helpful anytime we have a problem that we need fixed. Thanks for taking the time to leave us a review Melissa! We are glad that you have had a good experience here with our staff and amenities, and we do apologize for your view. Please do not hesitate to reach out to us if you ever have any issues! Thanks so much for the review! It is good to hear that you are excited to move in, we can't wait either! Loved the staff, the amenities were always available and I enjoyed the companies help. The value and location were almost too good to be true! Thanks so much for this review Lucy! It is so good to hear you enjoy living here at The Vue. We strive to provide above and beyond customer service so please do not hesitate to reach out if you ever need anything. Thanks for taking the time to leave us a review McKenna! We are so happy you chose to live The Vue next year and we can't wait for move in! Please do not hesitate to reach out to us in the meantime if you have any questions. Great place to live but rent and utilities are way too expensive. So me and my roommates are not renewing our lease. But shout out to the bus drivers. Thank you for taking the time to leave us an honest review Alexander! We appreciate the honest feedback, but if there is anything we can do to get you to renew please do not hesitate to ask! Love the ammenties and how close it is to campus. The gym could be better. The apartments are very comfortable and have a lot of space. Loved living at The Vue. Thanks so much for taking the time to leave us a review! We are so glad that you have enjoyed your time here. Please do not hesitate to reach out if you ever have any questions or issues. I have loved living at the Vue so far because it is so welcoming. I have never had a problem with anything while living here. The staff is great and so is the whole community. Thank you for leaving us a review! We are happy to hear you have enjoyed your time here with no problems! Please do not hesitate to reach out if you have any questions. The Vue is a great place to live and all of the amenities offered cannot compared to surrounding apartments. The location to campus is unmatched. Thank you for taking the time to leave us a review! We are glad that you enjoy living here and use all the amenities. Please do not hesitate to reach out if you ever have any questions or concerns! The Vue rocks. I love the bus to campus. I love the free coffee. And I love the tanning bed. I wouldn’t want to live anywhere else in college. Thanks so much for this review Kelly!! It makes us happy to hear you enjoy living here and are taking advantages of all of our amenities! Please do not hesitate to reach out if you ever have any questions or concerns. Thanks again! Th eve has been one of the most beautiful and school conscious areas I've lived in! Many student accommodations and the staff here is beyond friendly. Would recommend staying here any year of college with the wide age range living at the Vue! Thank you SO much for taking the time to leave us this amazing review. We are so happy to hear that you had a good experience living here. Thanks for the kind words and the referral! Office staff is nice and helpful. Grounds and common spaces are not kept up well. Maintenance workers are rude. Like the flat layout, but noisy building overall. Hey Anna, we appreciate you taking the time to give us a feedback! I apologize that you have not had a good experience overall, but I will be reaching out to you today for more information. Thank you again! I enjoyed the tour mostly because the tour guide was really nice and the place looks great to spend my next semester living in. Looking forward to it. Thanks so much for taking the time to leave us a review! It's good to hear you enjoyed your tour and you're excited to live here, because we are too! I've loved living at the Vue! Overall, its been a great experience. The Vue bus that shuttles residents to class and Dickson St. is the best! Thanks for the review Amanda! We are so glad you have enjoyed living here at The Vue. The bus is definitely one of our favorite amenities so we are glad you enjoy it too. Please do not hesitate to reach out if you ever have any questions! I am so excited to be living at the Vue. The community is so nice, and my friends make the anticipation even more exciting. The staff has been nothing but helpful during my entire process. Hey Ryan, thanks so much for taking the time to leave us a review! We are so glad that you are excited to live here and had a good leasing experience! Thanks so much for taking the time to leave us a review! We are glad the application process was easy for you, and we can't wait for move in! The Vue is a great place to live.I have lived here for three years and wish I could live here longer! The price is great and the maintenance is great! Wow thanks so much for this review! 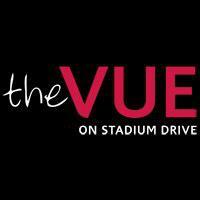 Thanks so much for choosing the live The Vue 3 years ago and continually choosing to live here. We hope you refer your friends to live here too!